Mom, Grandma, Nana or Auntie will absolutely love showing off their adorable children on this warm and cozy Personalized Sweatshirt for Her. She will enjoy wearing this attractive Love Bugs Personalized Sweatshirt on Mother's Day or any special occasion. Our Personalized Sweatshirt is available on our premium white, pink or ash gray cotton/poly blend Sweatshirt, machine washable in adult unisex sizes S-3XL. Includes FREE Personalization! Personalize your Love Bug Sweatshirt with any title and up to 30 names. Additional Details A Personalized Mother's Day Gift like this is sure to be the best one yet! 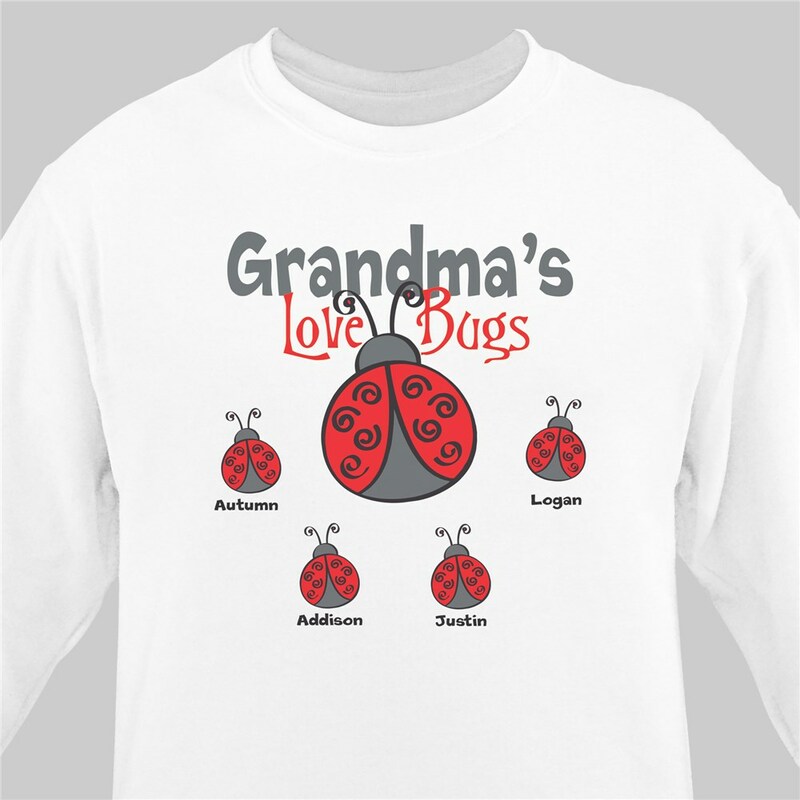 She'll love showing off her children each time she puts on this adorable Love Bugs T-Shirt. Shop our collection of unique and one of a kind Mother's Day Gifts to also find this design in our Personalized Love Bugs Tote Bag and our Personalized Love Bugs Apron as well.